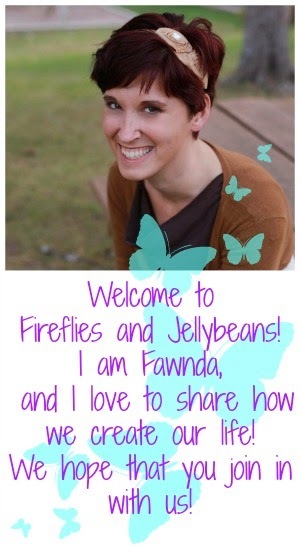 Fireflies and Jellybeans: Featured Friday- Jamie from Chocolate Sundaes! I am so excited to have another FABULOUS blog swapper with us today! Meet Jamie from chocolate sundaes! Hey! 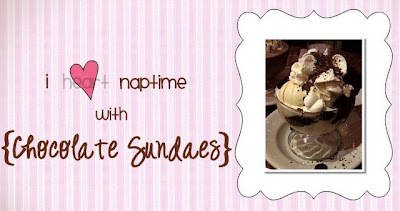 I'm Jamielyn from I heart naptime w/chocolate sundaes! I’m so excited to be Fawnda's guest blogger today. She has so many fun ideas on here, I love it! Well let me introduce myself. I was born and raised in the lovely sunshine state ARIZONA! I was born on leap year; I love chocolate, Mexican food, anything crafty, baking, and snuggling with my 2 favorite boys, Grey’s Anatomy, and the smell of a fresh coat of paint. I hope you all come check out my blog Chocolate Sundaes where you can find lots of fun ideas!! This was one of those projects I came up with at about 10 at night...you know what I'm talking about! So since it was late, and the craft store was closed I decided to search my house up and down for all the supplies I needed. Luckily i found a board that I was "planning" on using for another project... This is a 4 ft board. Then I found some fabric that was left over from my baby bedding and that I also used here. I highly suggest using uphoulstry fabric when doing this project. If you don't have cute fabric you could just paint the board as well. I got out my staple gun, pulled the fabric really tight and wrapped the corners like a present. Then staple all around the board. Next, I found some wooden dowels left over from this project. Then I grabbed the drill and found the exact same size drill bit and measured accordingly. If I were to do this project again I would probably get a longer board so the pictures could be more spread out...but it turned out fine. I also cut the dowels to different lengths to give it a little more funky look. After you drill the holes twist the dowels into the board. It was finally time to clip on all the cute pictures of my little boy! It's crazy how fast he grew...but he sure is a cutie! AND you got yourself a nice looking centerpiece! I may have gone a tad over board with the monkey theme, but it was just too cute not to. :) Click here to see the rest of the party! Thanks Fawnda for having me today, it was super fun! 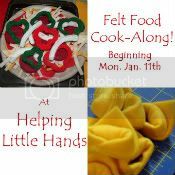 I'd love for all of you to come on by and say hello. Right now we are doing a Heather Bailey Apron giveaway. 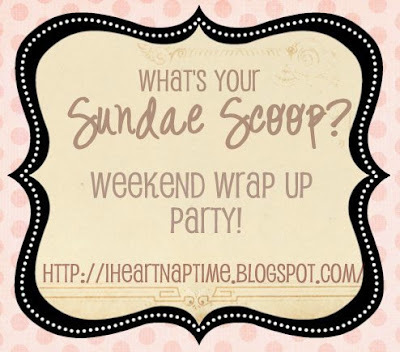 Also, don't forget to join us this Saturday for another "Sundae Scoop" link party where you can link up all your fun projects! The Show Off Your Stuff Party is Still going on! 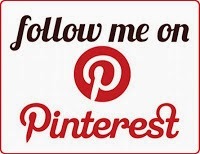 Scroll down or click here to see TONS of AMAZING links or to link up your AWESOME post! I am going to be posting my favorites on Sunday! What an adorable project (and baby!). So cute! Nice to meet you Jamielyn! As a Mom, I can't help but love your blog title! 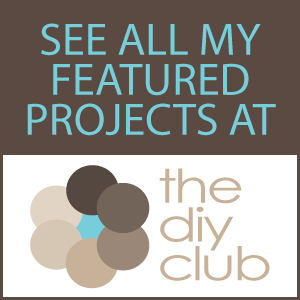 Your first year project is too cute!